Going to the feet of the Eiffel Tower is an experience you must have experienced at least once in your life. The impression of grandeur that the visitor undergoes is really strong, but nothing is worth climbing up to the second floor. There are two solutions, either you take the stairs or the elevator. The staircase is an excellent choice, but you still have to be able to climb more than 400 steps leading to the first floor (720 for the second). The elevator, if convenient, will require a drastic effort, the tail is long. If you opt for the elevator, you will be able to climb up to the 3rd floor, provided you change the elevator, and for an additional fee. On foot, you are blocked on the 2nd, the staircase is not planned to welcome the public. Finally, on the second floor, you are still 116 meters high, it is already not bad. The third is at 276 meters, almost at the top. The Eiffel Tower is the second most visited paying site in France, with 7.1 million visitors in 2011. 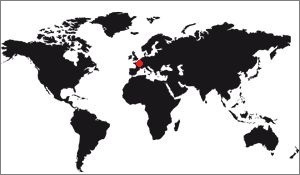 It is also a favorite site for foreigners since three out of four visitors is not French. If we combine all the visitors of a site in its history, the Eiffel Tower is the monument that has been the most visited in the World (We speak of paid sites), since from its creation it was opened to tourists and n has ceased to be so since. In France, the most visited free site is Notre Dame Cathedral, with 13.6 million visitors. There are three stations near the Tower: Bir-Hakeim (line 6), Trocadéro (lines 6 and 9) and the Ecole Militaire (line 8). The best is Trocadero: from this station can take a walk through the gardens of the Palais de Chaillot, but it is especially the sight on the tower that is interesting. The exit of the metro station is on the other side of the Trocadero, you will arrive by the terrace of the Trocadero which offers a splendid sight on the Eiffel tower, the fountains, the gardens and all Paris, in the background. It is really the ideal resort. Bir-Hakeim is to the southwest, you will arrive by the fields of Mars along the military school, the effect of surprise will be weaker and you will have the view only on the monument. The subway exit "Ecole Militaire" is very similar to Bir-Hakeim. By train, you have to get off at Champ de Mars-Eiffel (line C) station. It is along the quays and you have to go up the avenue to the Champs de Mars to see the monument that will appear to you through the vegetation, the large trees in the park masking it. It's not the best way to discover it, but it's worse because you only see it at the last moment. For the transit bus options are varied: you can use lines 22, 30, 32, 42, 63, 69, 72, 80, 82 and 87. It does not hurt but there is nothing special to add , you will discover Paris otherwise than by metro, it is always better. But less rapid. The Batobus is a boat that sails on the Seine. The rotation is 20 minutes in season at the "Port de la Bourdonnais". Using this means of transport allows you to enjoy a stroll on the Seine, which is always nice. I highly recommend it. If you are looking for a parking space, you can find it at Place Joffre, Quai Branly. But we can not repeat enough that Paris is not designed for cars, so no need to add the cars of the tourists to the local capharnaüm, it is already quite complex like that. (And I'm not Parisian, contrary to what one might think). No, driving to Paris is not that easy. There is a taxi rank at Quai Branly, Pillar West Tour. Very good, practical, but inevitably more expensive than other means of locomotion. The Jules Verne, a starred restaurant run by Alain Ducasse. Of course, the higher the service, the more expensive the price is. So be careful when you book, check that the menu is well within your reach, you may have some unpleasant surprises. Le Jules Verne, un restaurant étoilé tenu par Alain Ducasse. Bien sûr, plus la prestation est élevée, plus le prix est cher... Attention donc quand vous réservez, vérifier que le menu est bien à votre portée, vous pourriez avoir de mauvaises surprises. The Eiffel Tower buffet is in one of the public pavilions on the first floor. It is a simple fast food restaurant in which the visitor can sit down to rest a little, although at lunchtime, there are people. Another buffet is on the 2nd floor, it is a little simpler but still looks very much like the one on the esplanade. They offer salads, sandwiches, viennoiseries and various pastries. There are even vending machines, in case of influx. The 58 Tour Eiffel is also on the first floor, it is also known under its former name of Altitude 95. It can accommodate 250 people on 2 levels, overlooking the Seine and the Trocadero. Its name is taken from the fact that it is 57 meters above the ground, more than a meter in height of platform, inside. The staff speaks English and French. Prices are expensive, from 41,50 € for lunch to 80 € for the evening (price in 2016). There is a child menu at 19 €. It does two services, one at noon, the other at 13:30, but then it remains open until 5:30 pm, with the last orders for the hot dishes at 16:00. At this price there is nevertheless the wine and the coffee, the more the entry, the dish and the dessert, all of a good quality. Everything is served in an original way in a picnic basket, but of course the menu offers several food choices. In the evening the menus are more tasty, and the atmosphere is more magical with the view of Paris illuminated. The last option is the Jules Verne, located on the second floor of the Tower. It is considered one of the best restaurants not only in Paris but also in France. It has a star in the prestigious Michelin guide. Guests have access to a private elevator and valet parking. This restaurant is ideal for special occasions, romantic, especially in the evening when Paris lights up. Aside from that, the Eiffel Tower offers various shops where you can buy food, various snacks. Throughout the day, you can enjoy a wide variety of hot and cold drinks, sweet or savory, snacks, salads, pastries, cakes, pizzas and ice cream, to consume on the spot or take away. They are open from 9:30 to 23:30. Note the presence of the Gustave Eiffel lounge on the first floor, it is a specially designed lounge for events up to 350 people. It is used privately for product launches, gala dinners, seminars and other events. And finally, the Champagne Bar offers, at the top of the Eiffel Tower, a place to enjoy a glass of champagne, pink or white, with a beautiful panoramic view of Paris. According to your choice, the cost of the glass goes from 10 to 20 euros. Like any historical monument the Eiffel Tower has special visiting conditions. Because of its high form, access to the summit can be closed due to bad weather, for example in case of high winds or heavy rain. The metal structures is slippery if wet, so be careful if you are on the tower on a rainy day or even drizzle. The tower can also be partially closed for various reasons: Works on a particular area, maintenance, preparation of exhibitions, etc. Security is also an important point. You will not be able to ride if you have big backpacks or bulky baggage, and be careful, there are no instructions. You may be required to open your bags at the security check. Animals are not allowed on the tower, except for the blind dogs, of course. From its construction the Eiffel Tower could be visited. In fact, it opened its doors as the riveters finished the work, the workers were still putting the elements of the elevators, so that they could climb only by the stairs, the elevators not yet put into service . 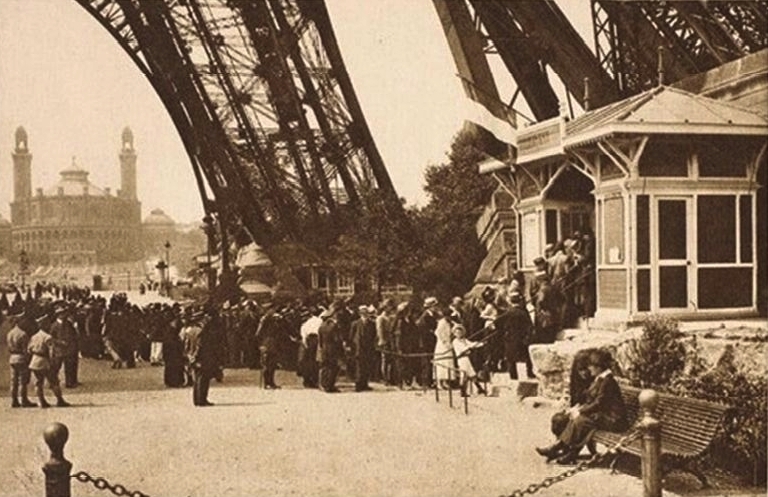 But the success of the 1898 Universal Exhibition, for which it was built, is also the success of the Eiffel Tower. Opening to the public on May 15, 1889, the elevators will be put into operation from May 26th, 11 days later, but the last elevator will be on June 19th. Meanwhile, the crowd was on foot, and it is necessary to say what it is: The infatuation was there. From the first week, there are 28,922 visitors, which is huge. It must also be said that the tower was the entrance to the Universal Exhibition of 1889 which had just opened, it brought an immense crowd. Moreover, of the 32 million entries booked for the Exhibition, about 2 million will climb the tower. But once the Exposition is over, the effect of curiosity falls. In 1899, only 149,580 entries were recorded. Knowing that the tower is supposed to be disassembled in 20 years, Gustave Eiffel did all that was in his power to increase his fame, because without the popular success, there was no doubt that it would be really disassembled, and that, it does not did not want it. So to attract the public, it starts by lowering prices, which slightly increases the number of visitors, but it is not enough. Then came the Universal Exhibition of 1900, and there also the tower received a large number of visitors, but despite the million tickets sold, this score was not enough. At the end of this event, visitors did not come to the Eiffel Tower anymore, which worried Eiffel even more, the 20-year deadline coming soon. 1953: 25,000,000th visitor: The lucky winner has won a car! Since its construction the Eiffel Tower has been the host of many personalities. If we find in this very long list of political personalities, it is just that these last ones are more in the limelight than the other personalities, but they are not the only celebrities to climb on the tower. Below is the link to this list, which begins in 1889 and ends today. 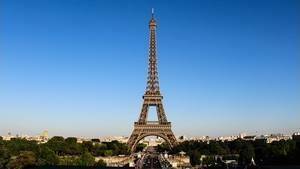 List of the famous visitors of the Eiffel tower.